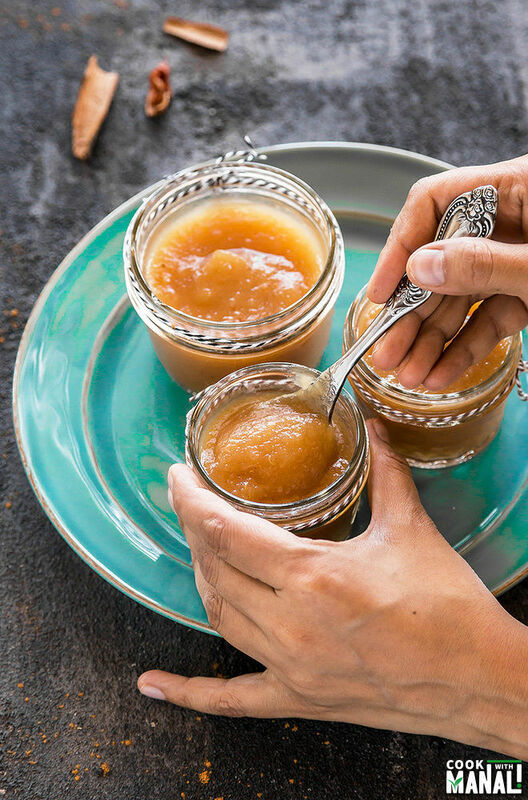 The easiest applesauce that you can make this fall. This Instant Pot Applesauce requires 4 ingredients (3 if you skip the nutmeg) and gets done in 25 minutes or less. Eat it as such or sweeten it with honey/maple syrup for a healthy snack! Do you guys know what was the no.1 sold item on amazon prime day in USA and Canada this year? Yup it was the Instant Pot, for the 3rd year in a row. Honestly speaking, it didn’t surprise me. It’s such a cool gadget and has helped me to finally get rid of my old pressure cooker. I was always annoyed by the whistle part of it or the fact that I have to switch off the stove after 2 or 5 or whatever number of whistles. With IP, I don’t need to babysit and that makes it so easy. Also, I recently made yogurt in it and it turned out really good. Is there anything the IP cannot do? I am obsessed! 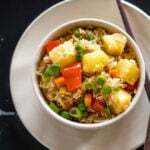 Since fall is fast approaching, I thought it would be cool to share some easy Instant Pot fall recipes with you guys. So the first in line is applesauce. Seriously though, once you see how easy this is, you might be making it all the time. You need only 4 ingredients for this and it gets done in 25 minutes or less. Can it get any easier? I find myself buying applesauce from the grocery store all the time. 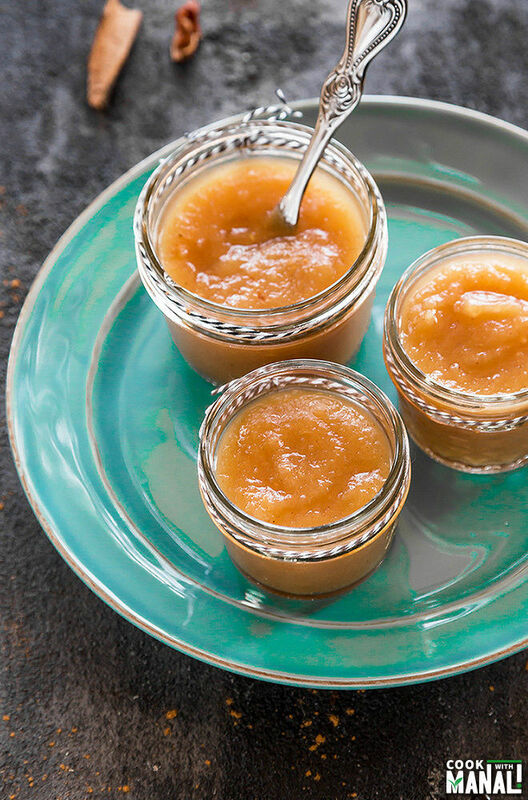 It’s actually one of my favorite ingredients for baking but ever since I made this instant pot applesauce, I am never going back to buying it again. All you have to do to make this recipe is dump everything in the IP and then forget about it. You will end up with the perfect applesauce in no time. ✓Texture: some people like chunky texture, I prefer super smooth applesauce so I used my favorite immersion blender to puree it. You may skip this step. ✓Spices: again add to your preference. I added 1/2 teaspoon of cinnamon that first time I made this. But then I realized that it might be too much for people who are not like me aka cinnamon addicts, so I cut it down to 1/4 teaspoon in this recipe. Using nutmeg is optional, but I always like adding it to my applesauce. ✓Sweetener: this recipe has no sweetener in it so it’s unsweetened applesauce. You may sweeten it with maple syrup or honey. I have actually been snacking on this these days. 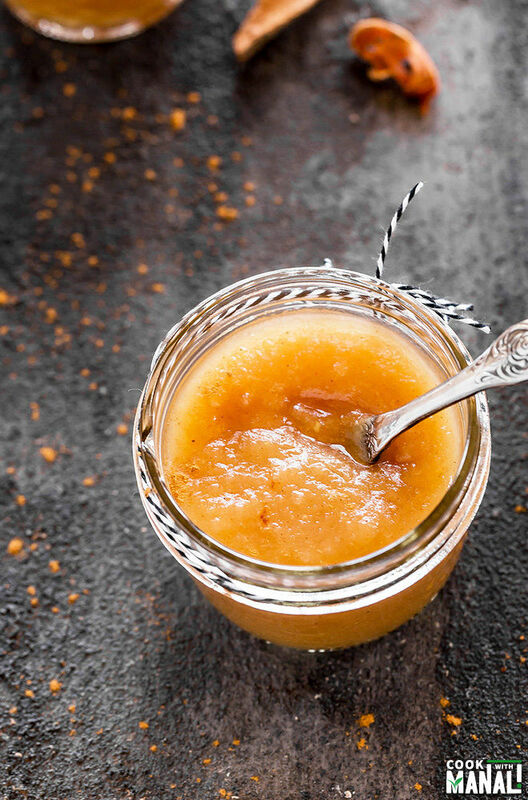 Just a drizzle of honey into the applesauce, mmmm it’s so good and not to forget healthy too! 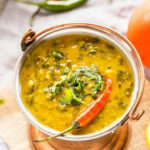 If you happen to try this recipe, please give a shoutout on social media and tag your post with #cookwithmanali. Peel, core and quarter the apples. You may leave the peel on, I just like them removed. Transfer apples to the inner pot of the IP. Then add cinnamon powder and nutmeg powder. Close the lid of the IP. Press manual button and cook on high pressure for 7 minutes. Once done, wait for additional 6-7 minutes and then do a quick release. The apples will be thoroughly cooked by then. This step is optional, but if you like a smooth consistency – simply blend the applesauce using an immersion blender. Let the applesauce cool completely and then refrigerate it in an airtight container. * You may sweeten the applesauce with honey or maple syrup once it’s cooked. 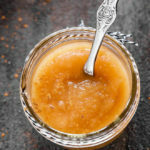 Quick and easy Applesauce made in the Instant Pot. 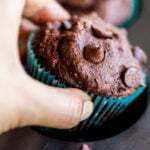 All you need is 4 ingredients and less than 25 minutes! Peel, core and quarter the apples. You may leave the peel on, I just like them removed. Transfer apples to the inner pot of the IP along with water. Add cinnamon powder and nutmeg powder. Once done, wait for additional 6-7 minutes and then release the remaining pressure manually. The apples will be thoroughly cooked by then. Your applesauce is done. If you prefer a smooth consistency applesauce, you may blend the sauce using an immersion blender at this point (I did this). Let the applesauce cool completely and then store it an airtight container in the refrigerator. 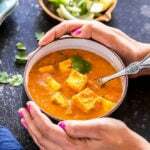 Fuss free, quick and delicious! The nutmeg is totally not optional…haha! Seriously, though, Laura and I were just talking this week about how we should make a batch of homemade apple sauce for Robbie this year. 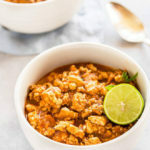 This looks amazing (and easy)! Thanks for sharing, Manali! haha..yes totally not optional for us! 😀 Oh yes, applesauce would be so perfect for Robbie, just make a big batch, he would love it for sure! Yup you do! Thanks Annie! First off, these photos are drop-dead GORGEOUS, Manali! Like whoa. Secondly, homemade applesauce is my favorite this time of year and I’m definitely making this beauty asap! Homemade applesauce is the best! 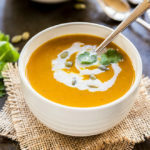 I love that you made it in the instant pot, looks just perfect for fall! Thanks Gayle, it is so easy in the IP! 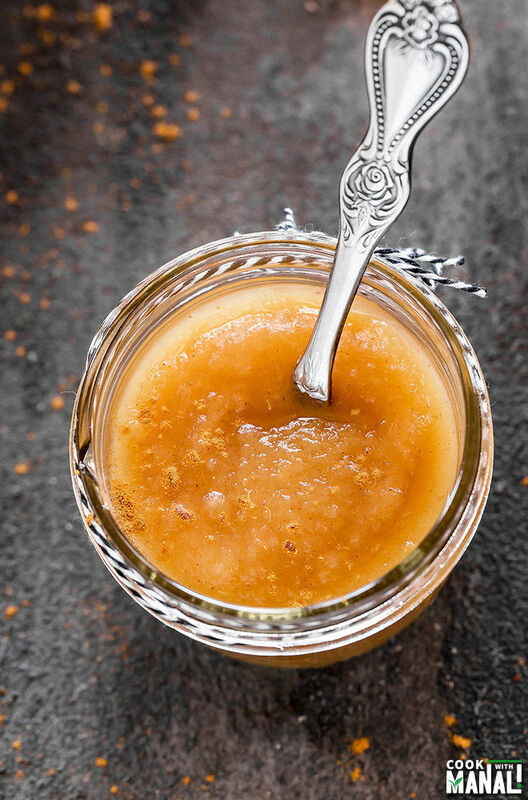 I was thinking to use my Instant Pot for some lentils tomorrow, but I’ll also be making this apple sauce! Looks amazing! Linda u can freeze by just putting in ziplock bag. My mom never had the instant pot but she alway froze her applesauce. Just as delious as fresh. Thanks Mary! There you go Linda, you can freeze it! I have not tried freezing it but some folks have and they say it works well! 🙂 It should be good in the fridge for a week to 10 days! Welcome, glad you liked it! 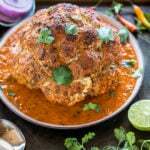 My kids devour this! So simple, yet so good.